With demand for energy growing each year in the Southeast - one of the most economically vibrant regions in the nation - it's an exciting time to work for Southern Company. 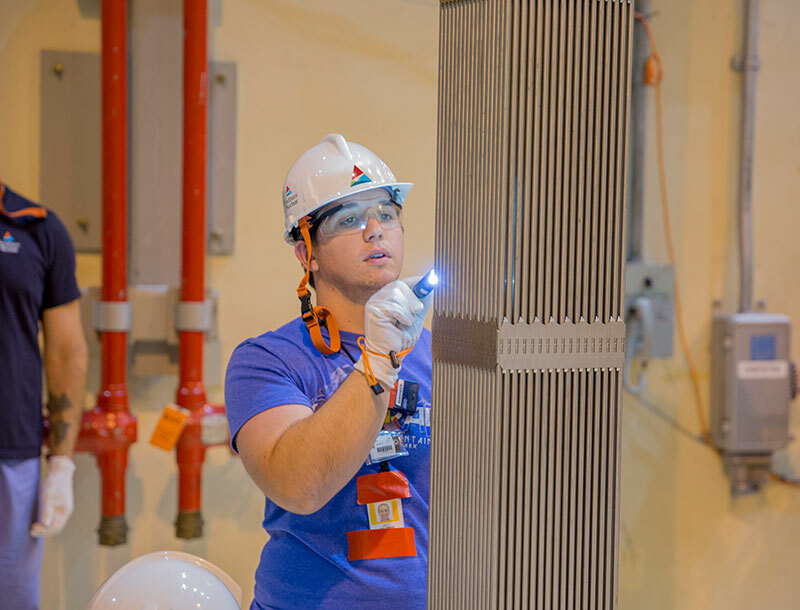 The Nuclear Operations Plant Instructor will conduct classroom and simulator instruction, design, develop training and examination materials, and process and maintain training records for licensed and non-licensed operator training programs. • Design, develop and maintain training and evaluation materials used for operations training programs. • Conduct training sessions in various settings to ensure plant staff is trained, retrained and qualified as required. • Assist in determining training program effectiveness. • Maintain plant training records and qualification programs for plant employees. • Conduct training needs, job and task analyses. • Conduct quality reviews, research and evaluation as requested by training supervision. • Ensure training programs meet high performance standards and expectations. • High School graduate or equivalent is required. Bachelor's degree in engineering or related science is desired. • For candidates without prior commercial experience, prior U. S. Navy nuclear power experience with two or more years as a qualified Reactor Operator, Engineering Officer of the Watch, Engineering Watch Supervisor, or equivalent desired. • A total of five (5) years of power plant experience of which one (1) year is nuclear power plant experience. • Detailed knowledge of operating procedures and regulations in assigned area. • Detailed knowledge of nuclear plant systems and processes. • Working knowledge of plant simulation software. • Prioritizes work of self and others to ensure schedules are met. • Incorporates vendors, contractors and other employees into decision-making when necessary, acting in a lead role to ensure quality decisions are made. • Considers financial implications of decisions and actions to ensure cost are controlled. • Communicates both in writing and orally. • Holds self accountable for superior results. • Respects the dignity of every individual. Southern Company is an Equal Opportunity Employer (EOE) of minorities, women, individuals with disabilities, veterans and strongly support diversity in the workplace.